Great apes live in "range states": Angola, Burundi, Cameroon, Central African Republic, Congo, Democratic Republic of the Congo, Equatorial Guinea, Gabon, Ghana, Guinea, Guinea Bissau, Côte d'Ivoire, Liberia, Mali, Nigeria, Rwanda, Senegal, Sierra Leone, Sudan, Tanzania, Uganda, Malaysia and Indonesia. Fifteen of these 23 States are least developed countries in Africa. 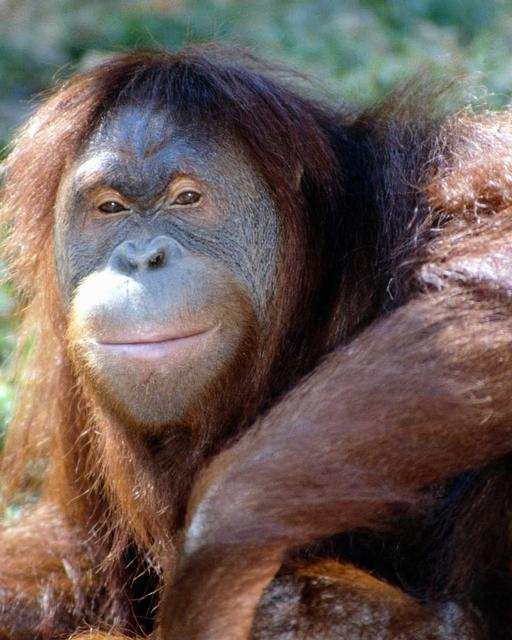 The Orangutan is found only in the islands of Sumatra and Borneo in Malaysia and Indonesia (Indonesian Kalimantan and Sarawak, and Sabah of Malaysia), while the other apes are scattered across 21 countries in Equatorial Africa, from Tanzania in the east to Senegal in the west. Bonobos,Chimpanzees, Orangutans and Gorillas are our not so distant cousins in the animal world. They are intelligent and exhibit feelings and emotions like we do. All of these great apes are being threatened by deforestation and poaching. We must take action to save this part of our "family" now. We are similar in many ways, but for two, they can not "speak" and they do not destroy the environment like we do. The populations of all species are extremely low, or are falling rapidly. 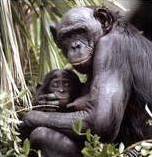 Bonobos, which are found in only one ecosystem in Congo DR, were estimated at 50,000. However, now, after years of civil war, there may be as few as 10,000 left. This species is the most likely to become extinct if no urgent action is taken. 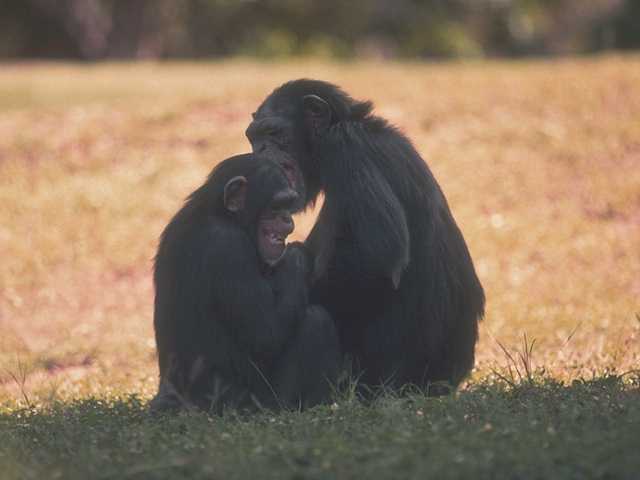 Chimpanzees, spread widely across Africa, are currently more numerous, but are also subject to hunting and habitat loss. The mountain gorillas, of the Virunga volcanos, bordering Congo DR, Rwanda and Uganda, have a tiny but relatively stable population of around 700 individuals. The Cross River Gorilla, inhabiting transborder areas between Nigeria and Cameroon, numbers only about 200 individuals, in isolated pockets. 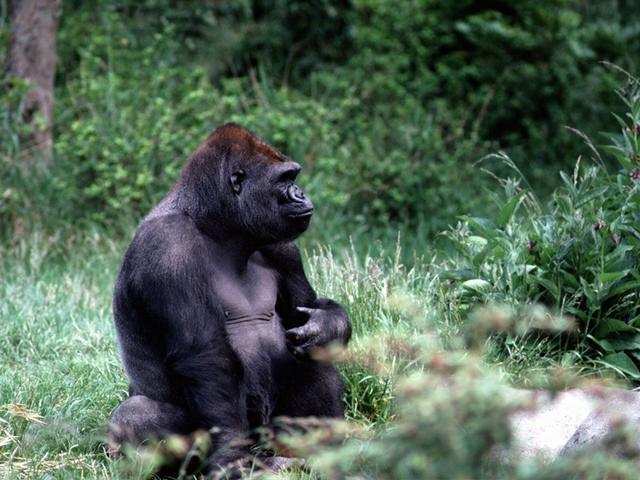 Lowland gorillas of the large Congo basin number around 100,000; however numbers are declining fast. Orangutans total numbers range from 50,000 to 100,000.